It's never been more challenging to teach physical education to children and adolescents. Between managing difficult behaviour and adapting lessons for students with diverse needs, teachers have their hands full. Teaching Children and Adolescents Physical Education: Becoming a Master Teacher has been helping both new and experienced physical educators meet these challenges for many years, and this revised edition has been updated to address many of the new challenges that have emerged in the past decade. Expanded to address teaching across elementary, middle, and high school, this classic resource demonstrates the techniques and skills master teachers rely on. Many of these skills are illustrated with videotapes of actual K-12 teachers in action. 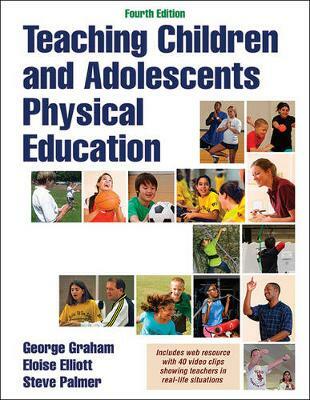 The value of this book can be attributed to the authors' years of experience teaching physical education in elementary, middle, and high school. George Graham, Eloise Elliott, and Steve Palmer understand all aspects of quality physical education and the teaching challenges that come with the territorybecause they have been there. Emphasizing real-world strategies, the authors weave instructional scenarios throughout the book. Readers will see in action the decision-making process master teachers go through when writing and teaching lesson plans. Because every class is different, this resource also highlights how to plan for diverse students and how to adjust lessons accordingly.